Doug Polk tells Melissa what its like to win his third bracelet and over 3.6 million dollars. Doug Polk reached the pinnacle of the poker cash game world as "WCGRider" online, where he conquered countless comers in the heads-up realm to become one of the most feared players in the world. Now, he's reached the top of the tournament game as well after winning Event #6: High Roller for One Drop - $111,111 No-Limit Hold'em at the 2017 World Series of Poker. 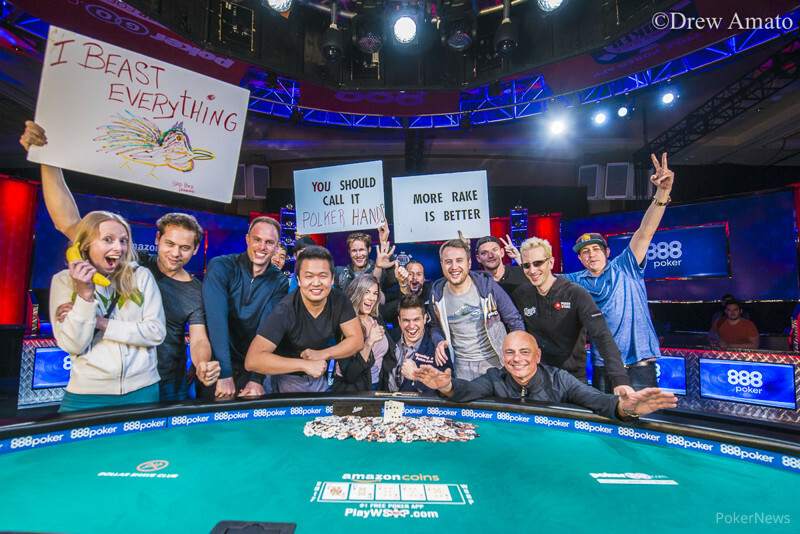 After besting the 130-player field, Polk claimed $3,686,865 in prize money for winning the prestigious event, along with his third gold bracelet. He admitted the previous two — one in a 2014 turbo event and one in last year's tag team event — simply don't compare to this one. "I'll say it for you: a real one," he said when asked if this bracelet felt different than the other two. "It does feel much better. To win that much money against tough people in a world-class event, it's way different." Coming into the final day of the event, Polk hit the skids right away as he dropped a series of early pots. He was soon in shove-or-fold mode and shove he did with ten-nine of hearts when down to his last 13 big blinds. He doubled through Martin Jacobson, who called him with ace-queen only to see the cash game legend flop a ten and hold against 10 outs on the turn. "You realize, most of the time, I'm going home," he said of the spot. "But, I had a chance, and the cards fell the right way." Polk built back up from there, outlasting the likes of Jacobson, Rainer Kempe and Andrew Robl. Stacks were relatively shallow for much of the final table, but Polk mostly stayed out of decisive, stack-risking spots, although he did pull off a notable semi-bluff shove with the nut flush draw that induced a tank-fold from Jacobson, who had top pair. With five players left, the tournament hit a snag as the players noticed an issue with the cards. The clock was paused and an impromptu break followed as the players, mainly Haralabos Voulgaris and Polk, showed the tournament staff that a new deck was needed. Apparently, small white marks that weren't part of the normal design dotted many of the cards. Polk was quick to deflect any blame from his fellow players. "I know all of these guys," he said. "Some I know pretty well, some I kind of know. They're all very respectable people in the community. I don't think anyone was cheating." 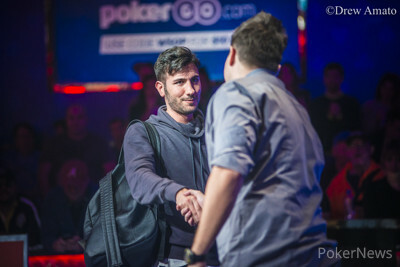 After play resumed, Chris Moore, Voulgaris, and Dario Sammartino fell in quick succession, leaving Polk heads up with long-time chip leader Bertrand "ElkY" Grospellier, who had taken a quarter of the chips into the final table. Polk won a bit pot right away when he outdrew Grospellier's flopped jacks and tens by hitting a queen on the river for higher two pair, queens and jacks. Six hands later, it was all over, and Polk had his biggest tournament score yet, along with fading a major hairstyle change. "I guess we're gonna see ElkY with a faux-hawk," he said with a laugh. Along with being a major feather in Polk's cap, the win will only serve to elevate his platform and help his evolving brand. Polk has spent the past couple of years building up a strong social media and YouTube following, producing videos where he's done everything from break down hands to bust on fellow high-profile members of the poker community. Having ascended to the top of the tournament game after making his name as a legend in cash games, it would seem becoming the most recognizable star in poker might be the only mountain left for Polk to conquer. "I think most of my goals in poker are trying to build my name in the game," he said. "The balance is tough. Every day, I wake up, I love what I do. I love getting to work, trying to achieve something. I work really hard to one day achieve big goals." If his performance so far is any indication, he won't have much of a problem continuing to do so. Doug Polk Wins the High Roller for One Drop! Hand #142: Doug Polk raised all in from the button, and Bertrand Grospellier called all in from the big blind for about 6,700,000 with , leading Polk's . Polk didn't trail for long, though, as the flop came down to give him the lead with a pair of queens. The turn sealed it for Polk with two pair, rendering the river moot. 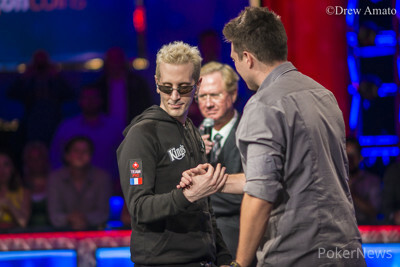 Grospellier finished as the runner-up for $2,278,657, while Polk won the High Roller for One Drop for $3,686,865. Hand #137: Doug Polk received a walk. Hand #138: Polk limped his button, and Bertrand Grospellier checked his option. The flop fell , and Grospellier check-folded to a bet of 800,000 from Polk. Hand #139: Bertrand Grospellier limped his button, Doug Polk shoved from the big blind, and Grospellier folded. Hand #140: Doug Polk raised all in from the button, and Bertrand Grospellier folded. Hand #141: Doug Polk received a walk. 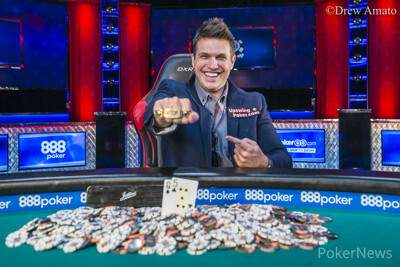 Hand #136: Doug Polk raised to 1,900,000, and Bertrand Grospellier called. Polk bet 2,050,000 on the flop. and Grospellier fired in a check-raise to 6,225,000. Polk called, seeing the fall on the turn. Grospellier bet 8,800,000. Polk put in enough to call. The river was the , and "ElkY" slowed down with a check. Polk checked back. Grospellier turned over , but his flopped two pair had been outdrawn on the river as Polk hit queens up with . Hand #135: Dario Sammartino raised all in from the button for about 3,800,000, and Doug Polk called from the big blind. The board came down , no help to Sammartino, ending his run and leaving Polk heads up with Bertrand Grospellier. Hand #133: Doug Polk raised all in from the small blind, and Dario Sammartino folded his big blind. Hand #134: Bertrand Grospellier received a walk in the big blind. Who Will Win the High Roller for One Drop?